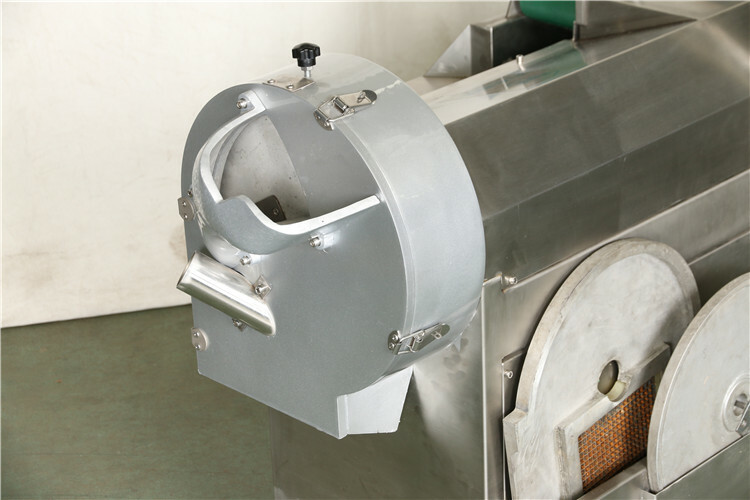 Buy Best Vegetable Chopper Dicer Machine - Jinan Joysun Machinery Co., Ltd. The vegetable cutting machine is automatic and highly efficient. It can help you reduce labor costs. The cutting machine is widely used in all kinds of roots, stems, leaf of vegetables and cutting of sea weed, soy products.And it can make these mince cut into slices, block, diced, diamond, curved shape. 1,By changing the cutting tool or the conveyor belt and the speed of cutting ,the machine can product various specifications of slices , silkiness , stripes , cakes ,etc. 2,The machine is powerful and multi-usage.And it saves time and effort.The output of a machine is equivalent to that of 25 people. 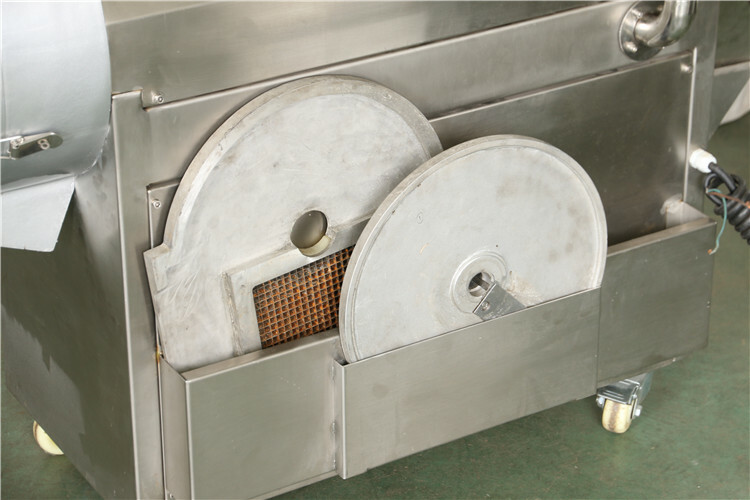 3, The vegetable cutting machine is fully made of stainless steel and healthy, beautiful, durable. Changing frequency and adjusting speed are both concise and easy. 4,Cleaning is very convenient, there is no corners you can not reach and wash. The vegetable cutting machine is double-headed and two system can work at the same time.One system is used to cut vegetables into slices,then ,slice vegetable is translated to another system through conveyor belt to be cut into other patterns. 1. 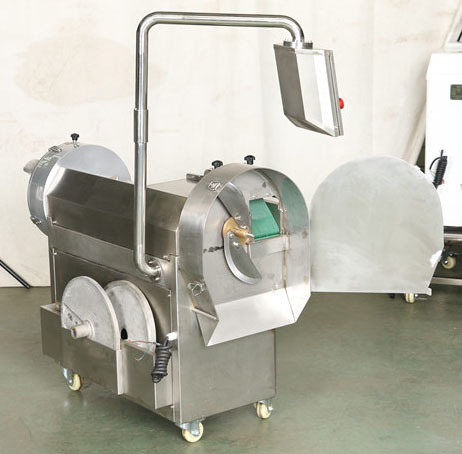 The vegetable cutting machine is convenient and easy to clean and operate. 3. 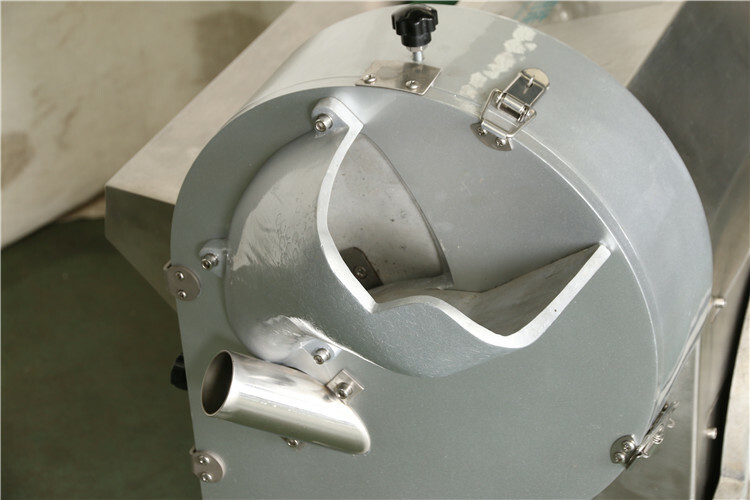 The vegetable cutting machine has sound safety assurance.You can wash it directly with water. 5. 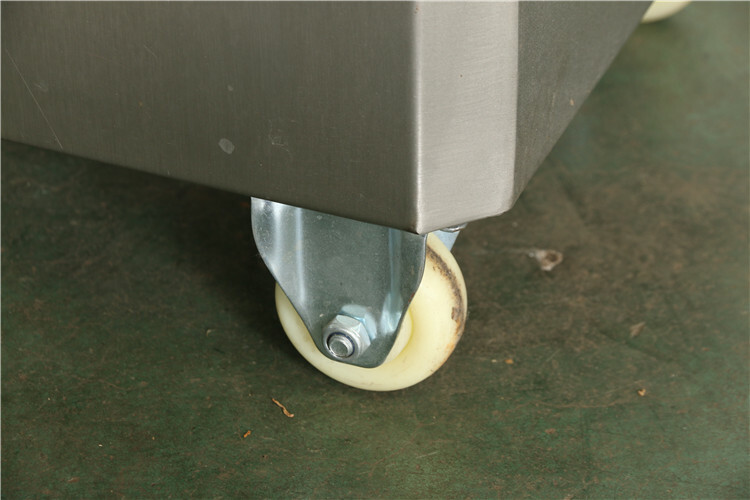 The vegetable cutting machine has quality assurance, permanent repair,famous brand motor. Applicable objects : Potatoes, taro, sweet potatoes, melons, bamboo shoot, onion, eggplant,etc.Celery, cabbage, cabbage, spinach,etc. 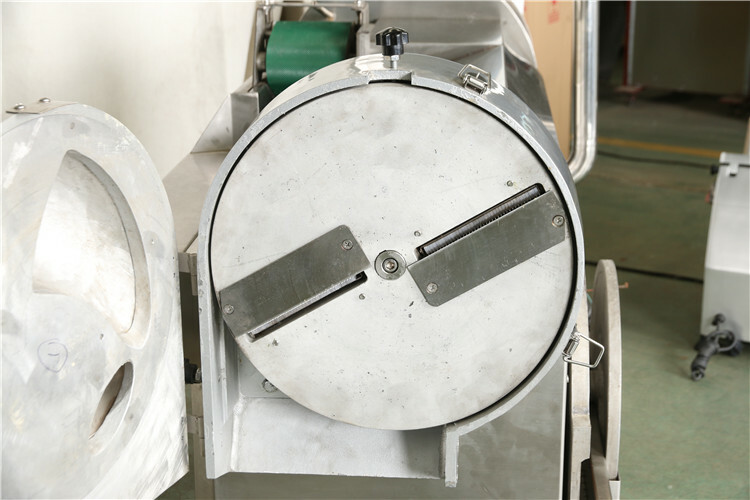 The vegetable cutting machine can make production diverse.It means that you can cut vegetables into flake-like, diced, striped,wavy or diamond-shaped. 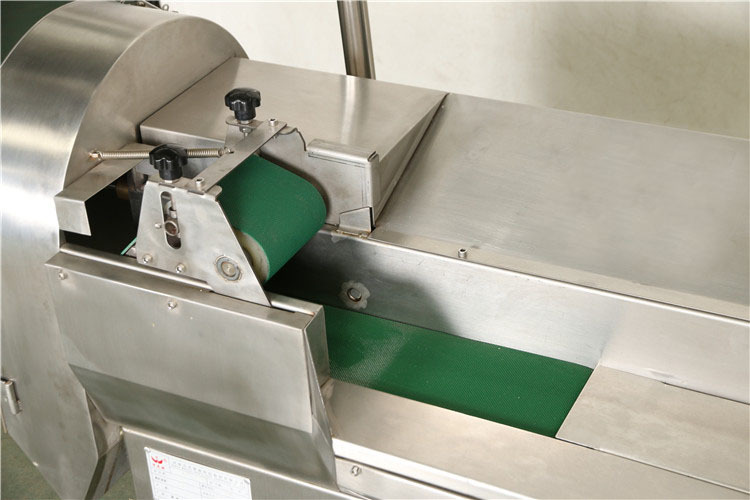 The vegetable cutting machine is made of stainless steel and has uniform color. 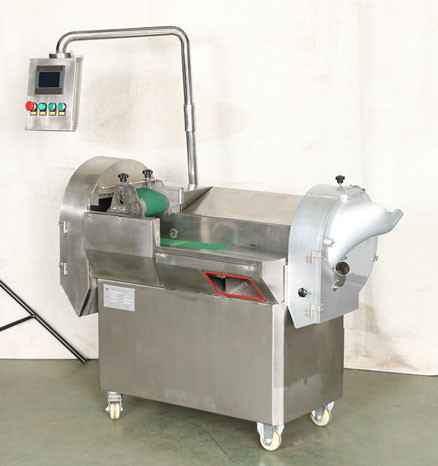 The vegetable cutting machine is capable of keeping the vegetable fresh.The texture of vegetables will be not broken and the production still is fresh and nutrient. The vegetable cutting machine is intelligent.You can adjust the thickness of vegetable slices , the length of vegetable strips and the specifications of diamond accurately. 1.The product will be packed by the wooden box. 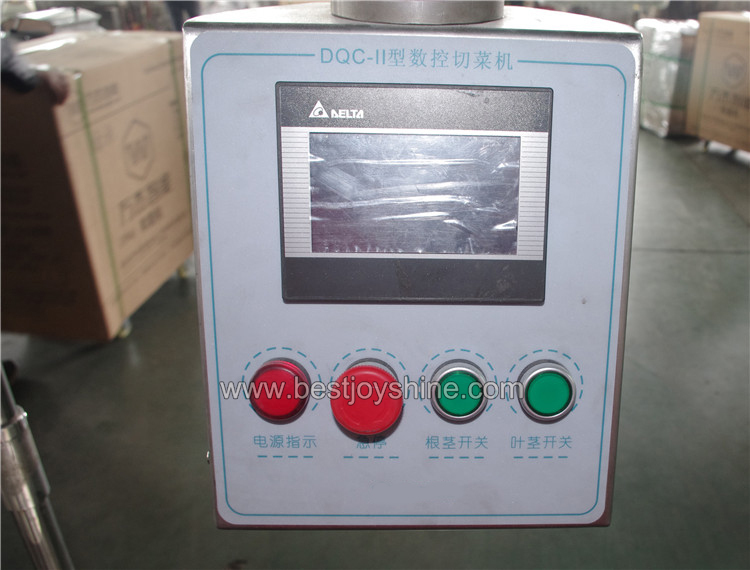 2.The vegetable cutting machine in the wooden case is settled and can not move. 3.The product will be shipped in 10 days after payment.